Sometimes Foodie: Pancakes: Breakfast Champions? Or Glorified Syrup Sponges? Pancakes: Breakfast Champions? Or Glorified Syrup Sponges? I haven't bought anything from Trader Joe's since I moved into my house two years ago. 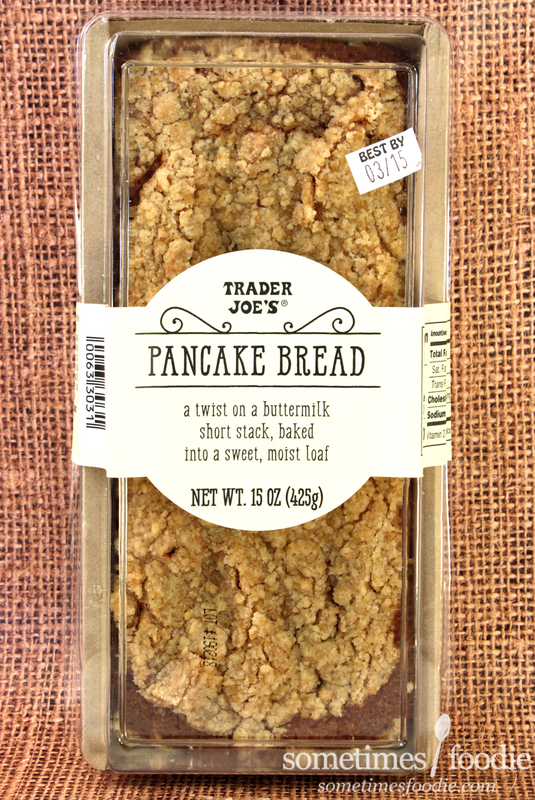 It's too far of a drive, so I've been living vicariously through my friends over at What's Good at Trader Joe's. There have been some murmurs of a Trader Joe's AND a Costco being built in my area in the near future, but I'll believe it when I see it. We've been burned by business promises before. Anyway, while my boyfriend fiance (still not used to it!) 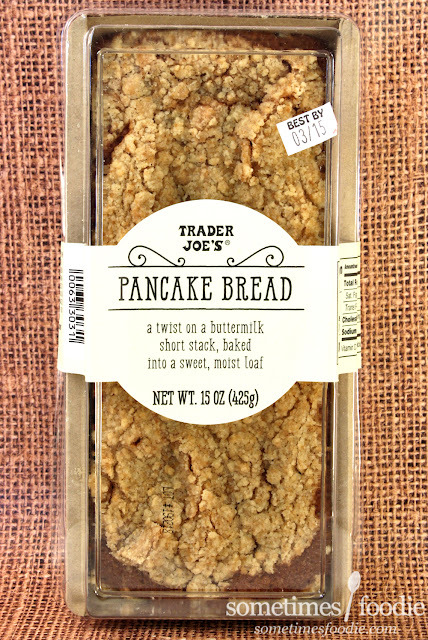 was out, he happened to see a Trader Joe's and popped in to grab me a pancake-y present because, "It looks like something you'd review." And he's right! 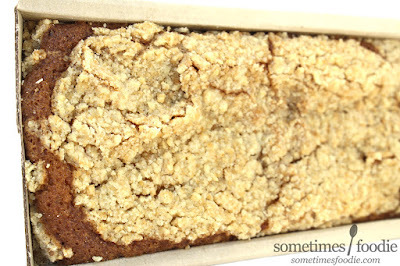 Visually, this looks like a streusel-topped coffee cake, nothing too pancake-y about it. 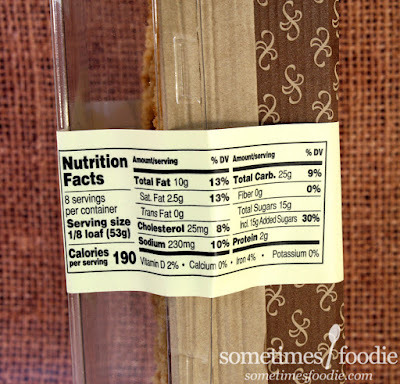 When opened, you get a whiff of maple syrup, which put me into the pancake-breakfast mindset, but I'm pretty sure this is just a pancake syrup flavored coffee cake hiding under the guise of a much fancier sounding name. Digging in with a fork, the texture was lighter than I expected, and it looked a bit like a large, fluffy, pancake mixed with yellow cake mix. Mouthfeel-wise, I wouldn't say this feels like I am eating a pancake. 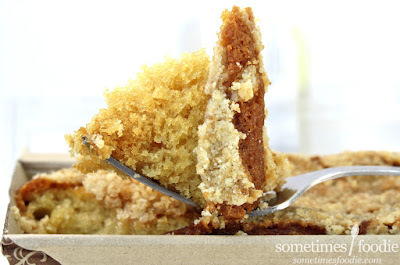 In fact, the only thing pancake-like about it that the buttery syrup flavoring mixed in with the sweet crumbly streusel. The syrup flavoring leans more Aunt Jemima than actual maple, but there is a certain breakfast flavoring to it, which is enjoyable, but not as unique as the name "Pancake Bread" makes it out to be. This is neither pancake, nor bread. This is a giant, maple flavored, version of Tastykake's cinnamon coffee cake. 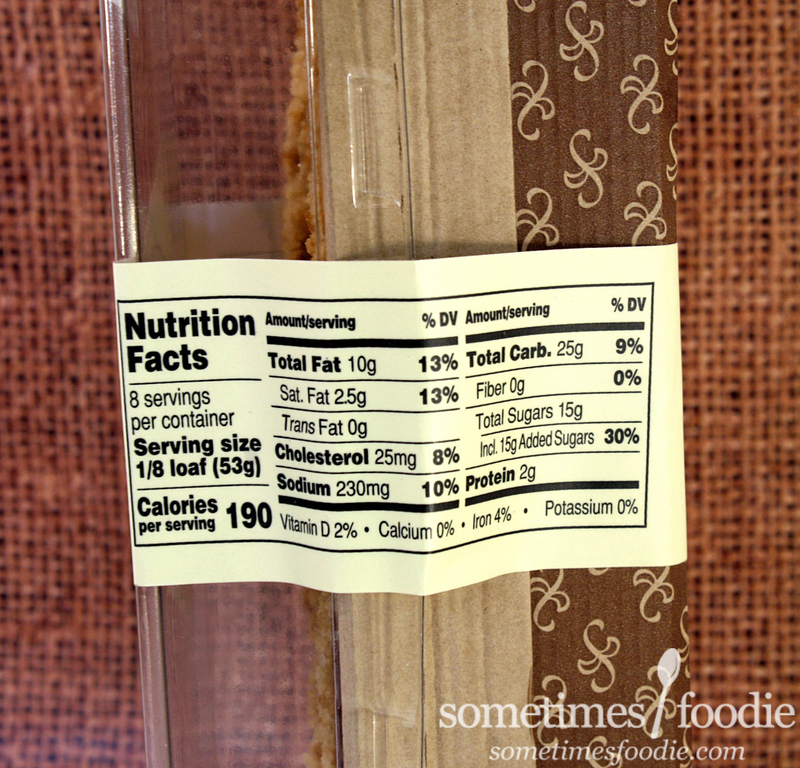 It's yummy, and very enjoyable, but it isn't worth a 40+ minute trip to my closest Trader Joe's. I gotta say, I agree with everything What's Good at Trader Joe's had to say about this "bread." It's yummy, and enjoyable for what it is, but if you're looking for a unique pancake experience like no other, this isn't the product for you. Pour some syrup on some coffee cake and call it a day.